White Like Me is a documentary that explores race and racism in the U.S. through the lens of whiteness and white privilege. 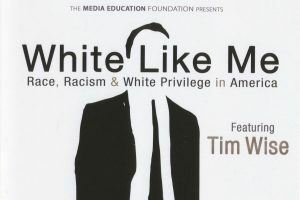 In a striking reassessment of the American ideal of meritocracy and the claim that we’ve entered a post-racial society, anti-racist educator and author Tim Wise offers a look back at the race-based white entitlement programs that built the American middle class. He then argues that our failure as a society to come to terms with this legacy of white privilege continues to perpetuate racial inequality and race-driven political resentments today. Wise describes how white privilege continues to shape individual attitudes, electoral politics, and government policy in ways too many white people never stop to think about. Free. Open to the public. Donations to defray cost of screening rights gladly accepted. Doors open at 6:30 p.m. Parking is available on NE 89th and NE 90th streets. The film begins at 7 p.m. with a facilitated community discussion to follow.